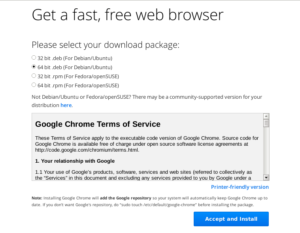 Download and Install .deb package from Google. 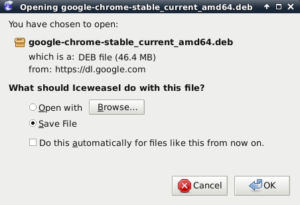 Open IceWeasel and browse to https://www.google.com/intl/en/chrome/browser/. 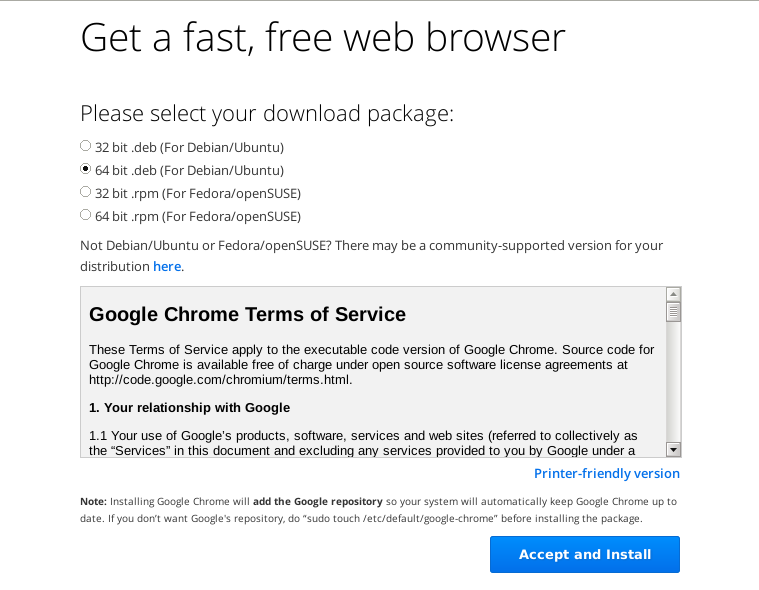 Download Google Chrome .deb packages (either 32-bit or 64-bit). 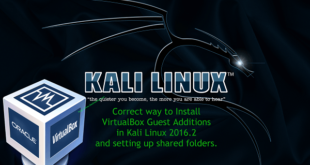 Type the following in terminal to install Google Chrome in Kali Linux from your downloaded .deb package. and we’re done. We’ve not installed Google Chrome stable release in our Kali Linux. Create a Standard non-root user and run Google Chrome – See How to add remove user (standard user/non-root) in Kali Linux? To answer your question. 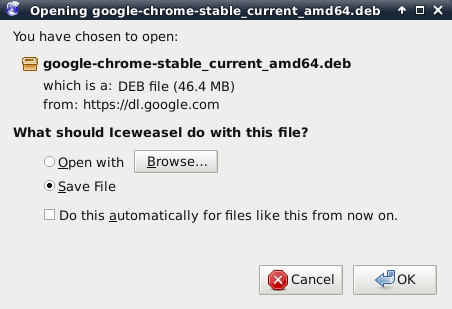 Your supposed to add deb http://dl.google.com/linux/chrome/deb/ stable main to leafpad /etc/apt/sources.list. Why it shows those errors ? I created the a normal user and used gksu to launch Google Chrome as that user. However, there is an issue. There is no sound when playing YouTube videos on chrome using this method. Maybe since Google chrome is running with limited privileges, it cannot access the ‘alsa’ sound in root. Do you know any fix for this? what to do :( ? Package libappindicator1 is not available, but is referred to by another package.